Never underestimate the power of avid bird watchers. 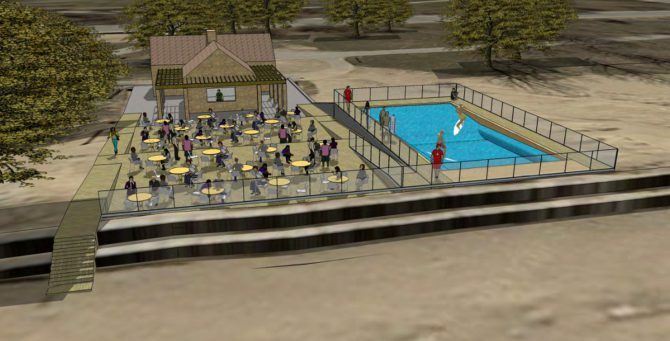 You might remember that an outdoor surf pool was planned for a spot near Montrose Beach and included a $2M rehab of the dilapidated concession stand building. All of that is now dead on arrival after "birders" had their say. “Every bit of green grass counts for the migratory birds that come through and need a spot to rest,” said Charlotte Newfeld, a longtime birder. “I think it’s absolutely outrageous. Most of the people in Uptown do not own surf boards and most of them have never been anywhere near the ocean. You have to leave the lakefront free and clear,” she said. I agree, no surf pool is needed at Montrose Beach. e all ready have one lakeside Circus called navy Pier and Chicago does not need another one. I wonder if Rahms brother has his hand in this business as well? I've liked in Uptown Buena Park now for a tad more than 10 years. I still own multiple properties in Lakeview where we chose to move from. I am of African American descent. I have lived abroad in Paris, London and Melbourne. I and my family have vacationed and lived near various oceans around the world. With that said, I am rather discussed with your one-sided, extraordinarily narrow view of the collective makeup of Uptown. Though I do not agree with the idea of a surf park at Montrose Harbour this "Birdy" should take a closer look at their blatant stereotyping before they try to classify their next fine feathered friend. why is it that small groups can have the power to stop something being constructed, and yet large groups cant ban assault weapons or legalize marijuana and gay marriage throughout the US, and none of this is ever put to a vote?